Tu-gether na ang favorite mong lasagna and tuna! 🐟 Kaya kahit Lenten Season, you can still enjoy your Greenwich faves without the guilt! 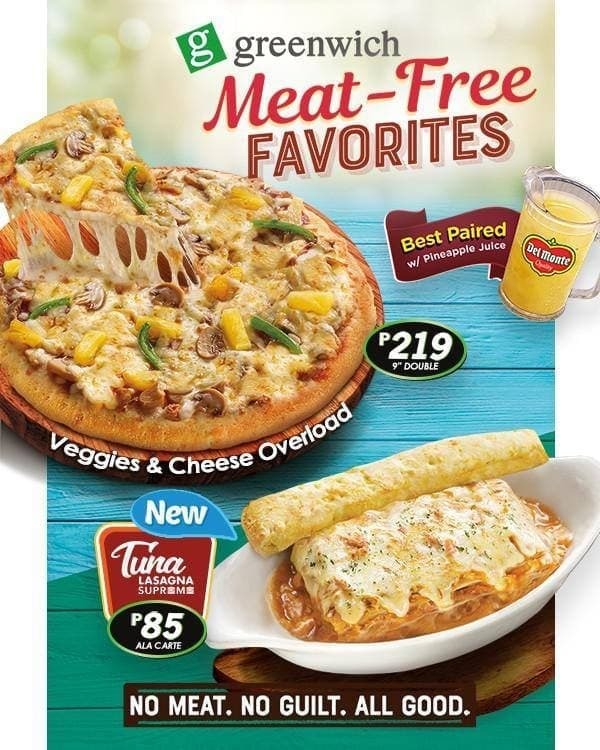 #GWithTheBarkada na and order their Meat-Free Favorites: Tuna Lasagna Supreme and Veggies & Cheese Overload! 💚 Greenwich Barkada is at Level 1.